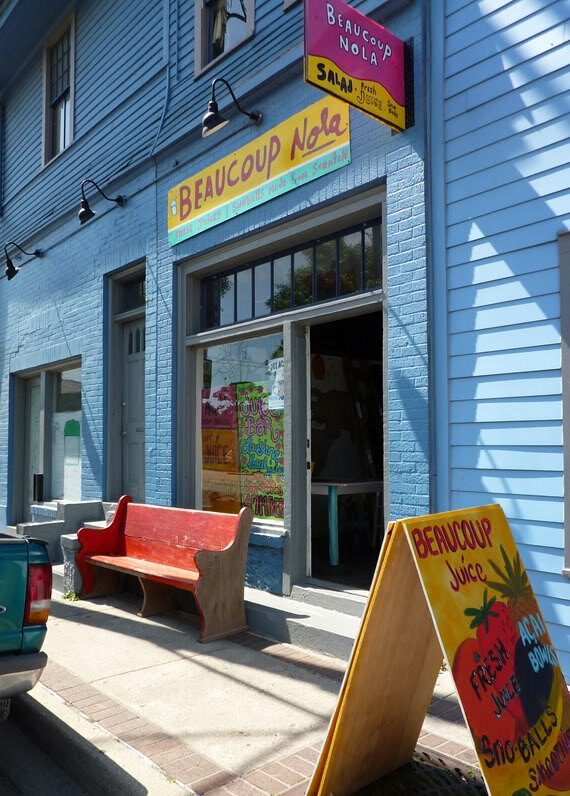 I thought that the first time I tried Beaucoup NOLA, I'd want a fresh fruit juice snowball. That was my plan going in. 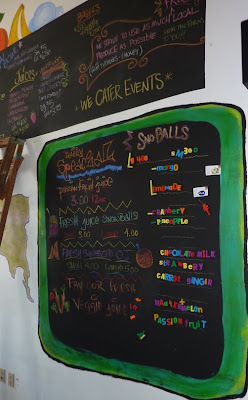 But, I got there and there was this whole wall of smoothies beckoning me and I caved. You might too. Dustin, the guy behind the counter, told me that the most popular smoothie is The Tipitina (or The Local) featuring ponchatoula strawberries, farmer's market peaches, banana, local honey and soy milk. Since peaches aren't in season yet, he would substitute with something else that was good and delicious. 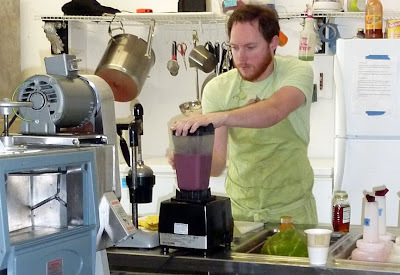 I left it to his judgement and he added pineapple and a bit of watermelon. Delicious. Fresh, beautifully textured and super satisfying. My favorite part was how wonderfully present the honey is. 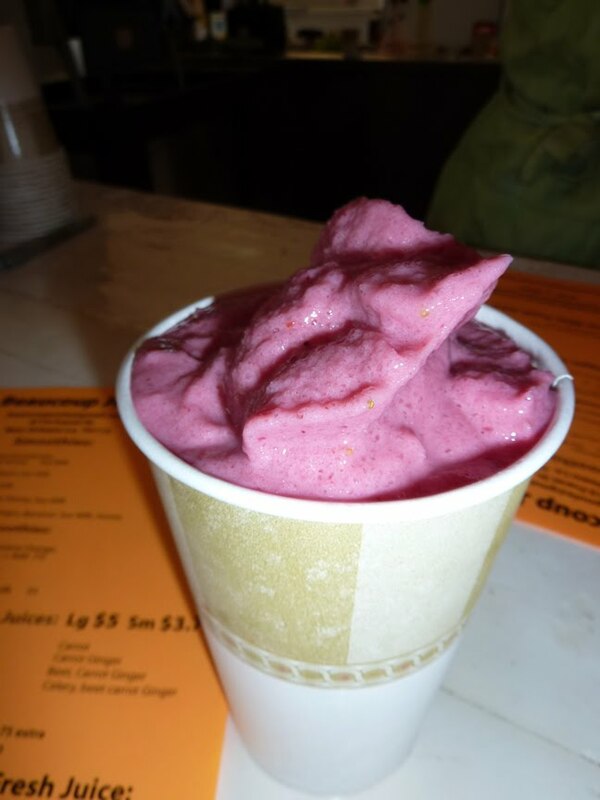 I tasted it throughout the entire smoothie and it made my heart sing. 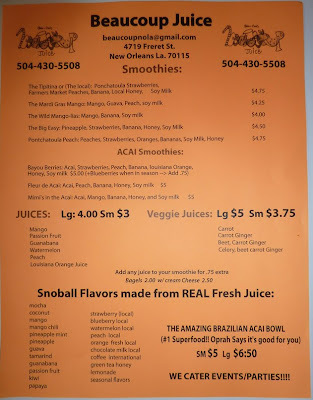 In summary, Beaucoup NOLA smoothies are 1000x healthier and more delicious than Smoothie King (super official scientific data *slurp*) They have a great Freret St location, are full of local art and have a full juice bar. Next time, I'm definitely going for the snowball. 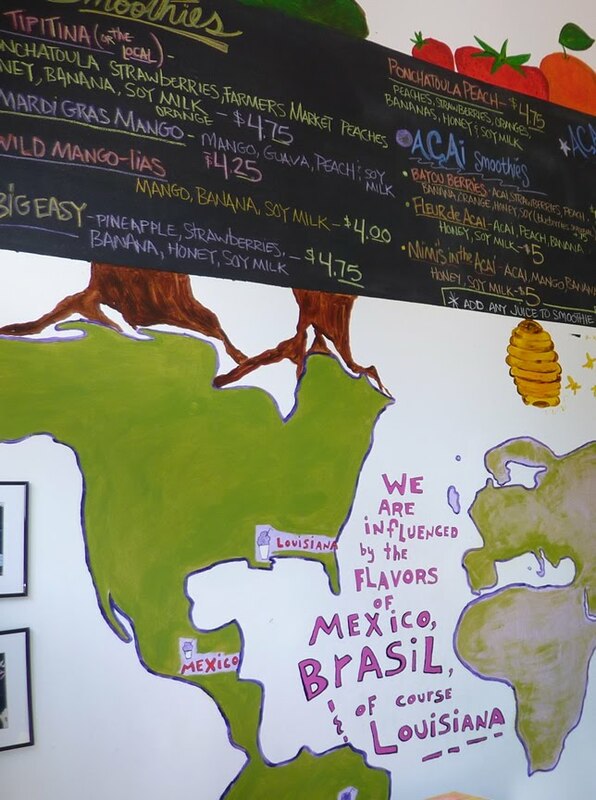 Just look at the flavor options! 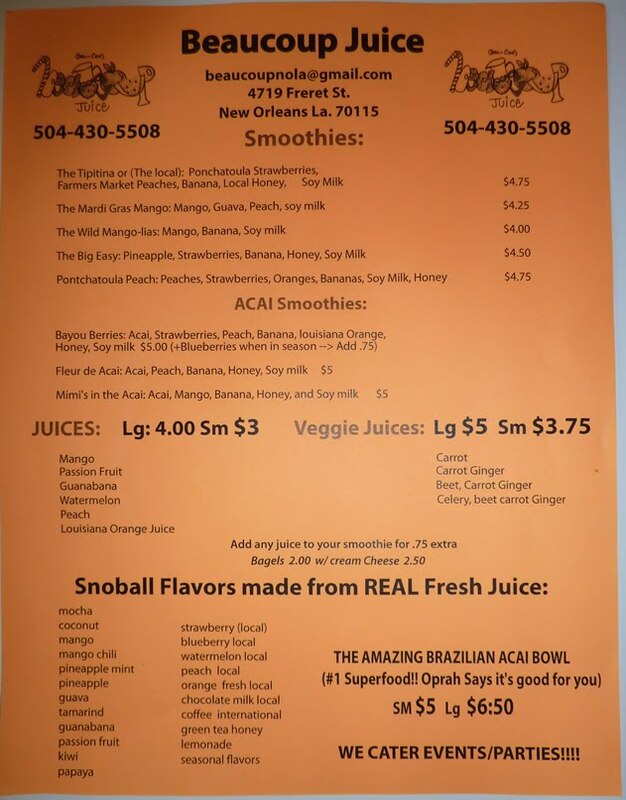 I went here on your recommendation and loved it, although I've only tried the sno-balls. I've tried to go back for a smoothie but can't figure out their hours (e.g. closed on a Saturday afternoon). I'm looking forward to going when it's August and sweltering. I think it will hit the spot like nothing else. How did I not know this was here?! Sounds fantastic.